Torcello is one of the original ancient settlements in the Venetian lagoon. It means “tower and sky” and from the neighboring island of Burano what one sees of Torcello is it’s bell tower reaching into the sky. 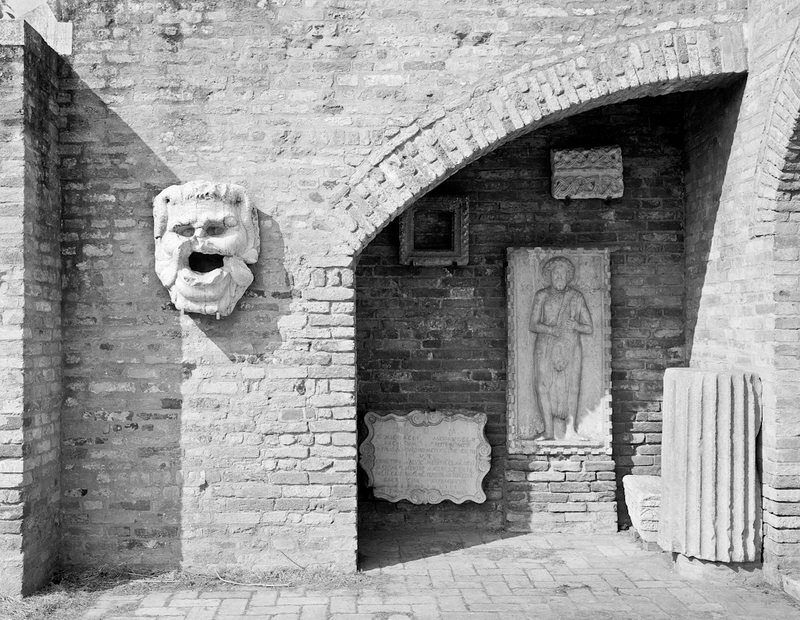 This archaeological wall, where samples of remodeled elements still remain, helps historians and interested tourists understand how the cathedral Santa Fosca of Torcello looked before renovation. The roman influence can be seen in the marble godhead of the Bocca della Verita – the mouth of truth. According to legend, it is said that anyone who puts their hand in the mouth and swears falsely, cannot withdraw it. With the wearing away of the mouth it either attests to many people telling the truth or maybe one liar who had to chisel their way to freedom. Did I put my hand in his mouth? No, but I did look to see if there was any evidence of a liars atonement.